Away is not a place. Every time something is thrown into the trash (or “thrown away”), it ends up somewhere. In many cases, that means a landfill. Maui’s landfill currently receives 550 tons of waste per day and is projected to be full by 2026. 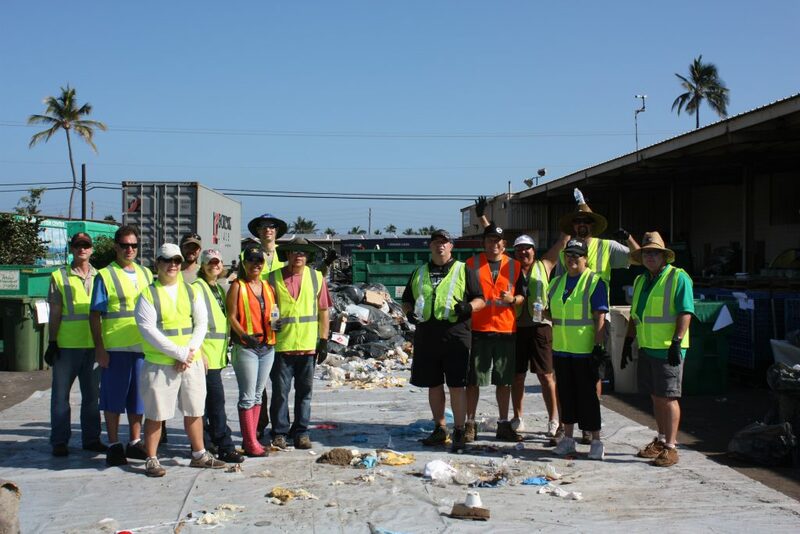 With that in mind, this past November, Green Building Hawaii and The Hyatt Regency Maui teamed up with Maui Disposal in order to do a full-scale waste stream audit of the Hyatt Regency Maui property. The goal of the audit was to determine what percentage of material that is currently in the waste stream, could be diverted from the landfill via recycling, reuse, or composting. As the saying goes “you can’t manage what you don’t measure.” While this saying is usually applied to energy usage, it is also true of a waste stream. The first step to effectively managing a waste stream is to identify what materials make up the stream, and how they can be properly diverted from landfills. It was a pleasure for Green Building Hawaii to help facilitate this process for the Hyatt Regency Maui. If this progressive and action-oriented approach was adopted as a common practice by large waste generators, we would likely see much higher waste diversion rates from our landfill and improve the sustainability of our local communities.